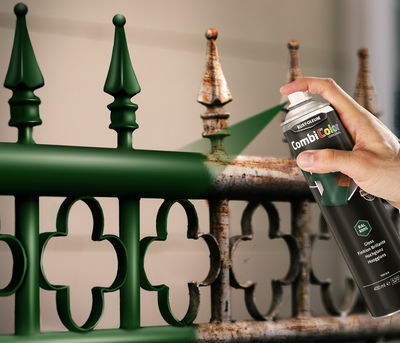 RUST-OLEUM® CombiColor Metal 7300/7400 coating is primer and topcoat in one, based on a urethane modified alkyd, providing good drying properties at low temperatures. The product contains rust-inhibitive pigments and is lead- and chromate free. Colour Range - Gloss White, Gloss Black, Gloss Ivory, Gloss Trafic Red, Matt White & Matt Black. Packing - 250ml and 750ml. Drying Time	- Touch dry in 2hrs and re-coatable after 16hrs. Full cure after 7 days. Spread Rate	- Up to 8 msq/l.